The graph depicts the total attendance in Minor League Baseball in 2011 and 2012, by league. 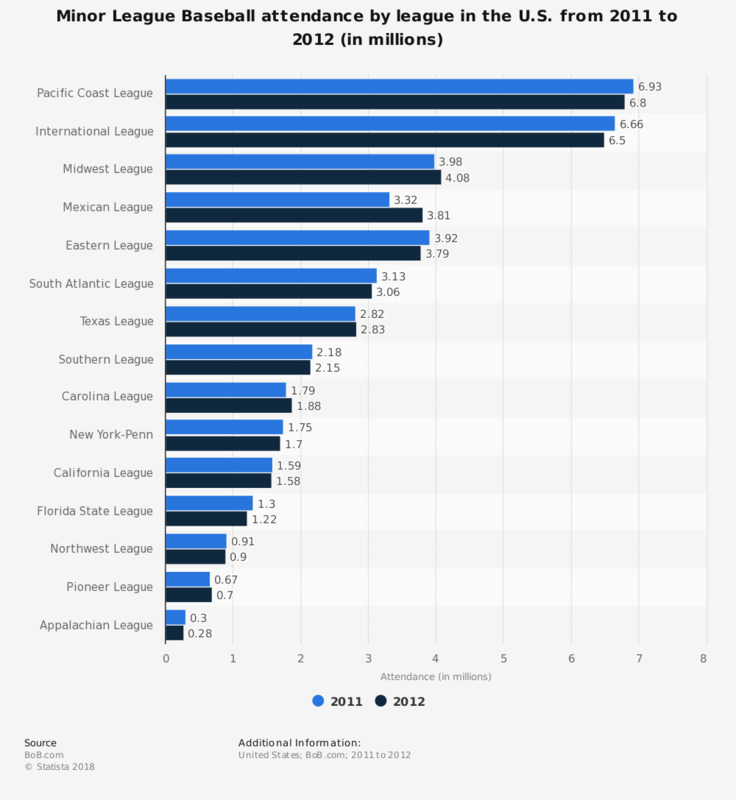 The Pacific Coast League drew 6,925,290 fans in 2011. The 15 leagues and 174 clubs of Minor League Baseball drew a total of 41,252,053 fans during the season with an average crowd of 4,029 per game in 2011.